When you want to look the best in a galaxy far, far away, there is only one person whose outfit you’ll want to copy. 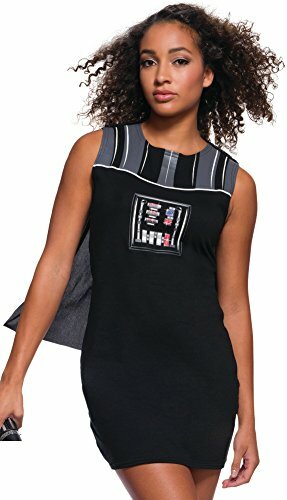 This Darth Vader tank dress is perfect for Star Wars fans who love to show off their geeky dark side! Dress features rhinestones embedded in a classic looking Darth Vader graphic print chest piece. Dress also features a removable cape! This is great on its own, but could be even better with the other costumes and accessories available in our store!